For the first time in its four year history, The Metropolitan Orchestra (TMO) will present an outstanding world premiere concert event. 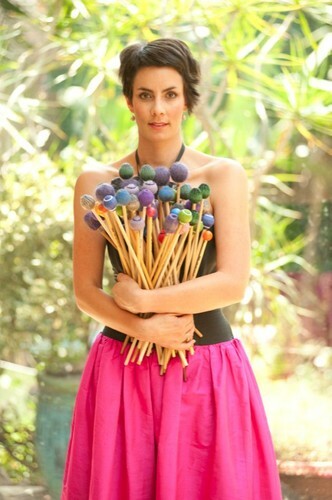 TMO welcome internationally renowned percussionist, Claire Edwardes to perform the premiere of Daniel Rojas' Chamber Concerto for Marimba and Orchestra. Rojas says that the strength and musical skills of both Claire Edwardes and Chief Conductor Sarah-Grace Williams inspired the structure and shape of this wonderful piece of music for TMO. Recognised throughout as one of the most striking and important percussionists of her generation, Claire Edwardes will bring magnificent vibrancy and impeccable skill to a Latin-inspired rhythmic musical event in the distinctive Rojas style. This is an important Australian concert event that is definitely not to be missed as this new concerto promises to have you dancing and swooning in your seat. The fabulous musical program will open with one of Mozart's most recognisable pieces, Eine kleine Nachtmusik which has excited and inspired audiences since 1787 and is still a huge favourite on everyone’s listening calendar. Rounding out this special performance will be Haydn's masterwork Symphony no 104, the London. The London’s spirited finale will provide the perfect end to this vibrant World Premiere concert.